The night sky is preparing to put on its own New Year celebratory show. Look up between Jan. 1 and Jan. 6 and watch the sky sparkle with the Quadrantids Meteor Shower. 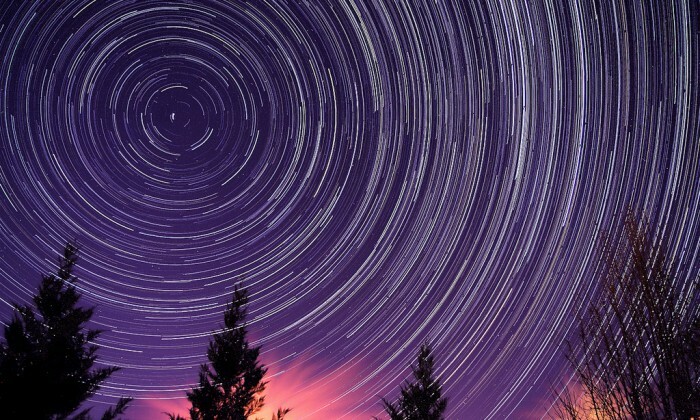 Why See The Quadrantids Meteor Shower? The annual meteor shower has the difficult task of being the first astronomical event of the year and having to compete with manmade ball drops and firework displays. But for those who take the time to catch it, the Quadrantids Meteor Shower almost never fails to impress. The Quadrantids Meteor Shower often begins around the end of December and runs through the second week of January. This year, though the meteor show is expected to be visible each night from Jan. 1 to Jan. 6, thanks in part to an older moon (the moon will be 24 days old at the time of shower) we should be able to see as many as 80 meteors an hour when it peaks around Jan. 3 or 4. The Quadrantids Meteor Shower will be gone before you know it though, unlike other meteor showers that peak for about two days when the Quadrantids does peak it only lasts for a few hours. Find a spot away from the city lights and look up. It’s that easy. You’re almost guaranteed to spot the Quadrantids Meteor Shower between nightfall and dawn from Jan. 1 to Jan. 6. Where Does The Quadrantids Meteor Shower Come From? The origin of the Quadrantids Meteor Shower is a bit of a mystery. In 2003, astronomer Peter Jenniskens identified the origin of the Quadrantids Meteor Shower as the asteroid 2003EH1, but it’s thought that 2003EH1 might be the comet C1490 YI, which was first discovered more than 500 years ago.